Residential School Trips For Primary Schools - altogether a more exciting adventure! Our residential school trips for Primary schools are designed to give pupils an immersive and inspirational introduction to outdoor learning. Our outdoor adventurous activities give children a mix of creative, challenging and practical skills-building experiences to support and compliment their classroom learning. Our adventure programmes for schools are fully adaptable to suit primary school pupils from aged 7 upwards and could be anything from a one-night stay to a week-long residential trip. 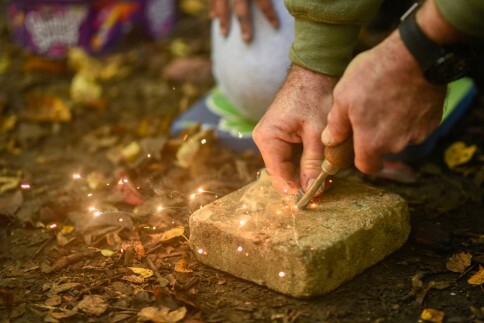 Through a range of outdoor adventure, bushcraft and forest-schools inspired activities primary school children can enjoy fun and active days, evenings spent playing games, toasting marshmallows and telling stories around the campfire. The flexibility of a shorter stay gives schools the opportunity to introduce younger pupils to the experience of being away from home as well as providing vital outdoor learning opportunities. Our one-night trips also provide a cost-effective solution to ensure schools can offer an affordable residential trip, whatever the budget. Our woodland indoor lodges or stylish, underfloor heated glamping pods provide a cosy overnight stay for younger pupils or primary schools looking for an Autumn/Winter residential trip, while our bell tented camping village provides the authentic under canvas experience in the warmer months for older children and those keen to enjoy the camping experience. Read our blog: Top Tips to help teachers and pupils get the most from a school residential trip. With a choice of shorter two-night stays or week-long residential school trips, Years 5 and 6 pupils are provided an invaluable opportunity to experience the great outdoors, and benefit from the many learning opportunities it brings. As children adapt to the challenges brought about by SATS and Secondary school preparation, an off-site outdoor adventure can be an outdoor education opportunity to build on the skills they need to help them thrive and excel during these final Primary School years. Or it could be the perfect way to celebrate and simply have fun with their peers before going their separate ways in Year 7. – Provide a few days of fun and enjoyment as a reward for pupils’ hard work at school, and a celebration of their time at Primary School. 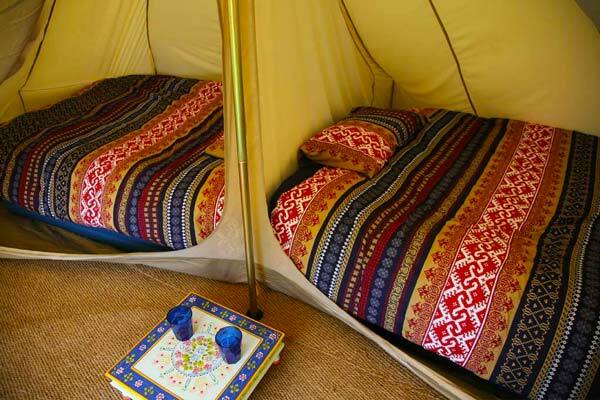 Our canvas bell tents and exciting indoor options provide comfortable accommodation set in natural woodland. Starting at only £99.00, all camps include activities, meals, full evening activity programme, experienced instructors and free teacher places. Build your own itinerary of activities including bushcraft, team-building, archery, pot-holing, abseiling, zipwire, kayaking, climbing, crate stacking and lots more! Our wide-choice of outdoor adventurous, Bushcraft and Team-building activities are designed to challenge, introduce primary school children to new activities, uncover new strengths, improve confidence and above all ensure that they have great fun! These are just some of the activities children can enjoy on a Wildchild Residential Adventure. 1. Wild Camp outs – children love our traditional canvas bell tents… almost as much as the teachers who get to enjoy a taste of glamping! 2. Fire lighting – nothing like toasting marshmallows on a fire you’ve built yourself! 3. Abseiling – It’s the reward for working so hard to climb to the top – abseiling back down! 4. Scavenger hunt – navigate around the woods collecting woodland items along the way. 5. Teambuilding games – playing games in the great outdoors – what’s not to love? 7. Zipwire – stepping off the ledge to whizz through the air – no adrenalin rush quite like it! 9. Making bug hotels – children love to use woodland leaves and foliage to make their very own animal shelters. 10. Crate stacking – great for team-building – testing nerve and balance while those crates just keep on coming! To request a brochure, arrange a preview visit or discuss your primary school residential trip call us on 0845 371 7099, click here or email info@wildchildadventure.com.